Tom Hanks is probably the nicest guy in Hollywood. A figure in both comedies and dramas alike, the actor boasts a rather wholesome persona. He produces historical mini-series, boasts a passionate love for typewriters, and has built a reputation for using his platform to return lost items to their rightful owners (via The Telegraph). As such, he's sort of become America's dad, and we all love him for it. But no one's immune from scandals, even the Forrest Gump (1994) star. While we'd love to think that he's innocent of any bad behavior, there are some skeletons in Hanks' closet — and a whole a lot of dirty laundry in one of his son's wardrobes. From an odd start to his second marriage to his kid's highly controversial behavior, there's a lot most don't know about Hanks. Here are a few of the biggest scandals sparked by Hanks and his family that ran way under the radar. Well, until now, that is. Hanks and his current wife, Rita Wilson, reportedly met on the set of sitcom Bosom Buddies (1980-82). They later worked together on the buddy comedy Volunteers in 1984. But, while plenty of actors have met their loved ones on the job, there was a major problem with Hanks and Wilson's budding romance: Neither star was single when they first crossed paths (via the Daily Mail). At the time, Wilson had been engaged. Hanks, on the other hand, was married to his college sweetheart, Samantha Lewes, and the pair had two kids together, son Colin and daughter Elizabeth Ann. But, despite both being in serious relationships with other people, Hanks and Wilson apparently just couldn't deny their attraction to one another. Speaking with Vanity Fair (via Vogue), Wilson admitted that she "didn't know what being in love was until [she] met Tom." That's sweet and all, but we can't imagine the kind of heartbreak Hanks and Wilson may have caused their former significant others. Hanks divorced Lewes in 1987 and married Wilson in 1988. The split was not amicable. The Scottish Daily Record reports that a Los Angeles court ordered Lewes and Hanks not to "molest, attack, strike, threaten, sexually assault, batter or otherwise disturb the peace" with regard to one another. Lewes also claimed that Hanks threatened to withhold much of their community property and earnings in the divorce. Hanks readily admitted to being an imperfect husband and sometimes absentee father in his first marriage, telling the paper, "I had some personal problems. We're not talking a nuclear holocaust. I just went a little crazy. My work had taken me away from home a lot…I think my marriage just broke up after five years for the same reason that any other marriage breaks up. Lack of communication, along with the basic nature of the relationship. Fatherhood certainly passed me by in a blur." 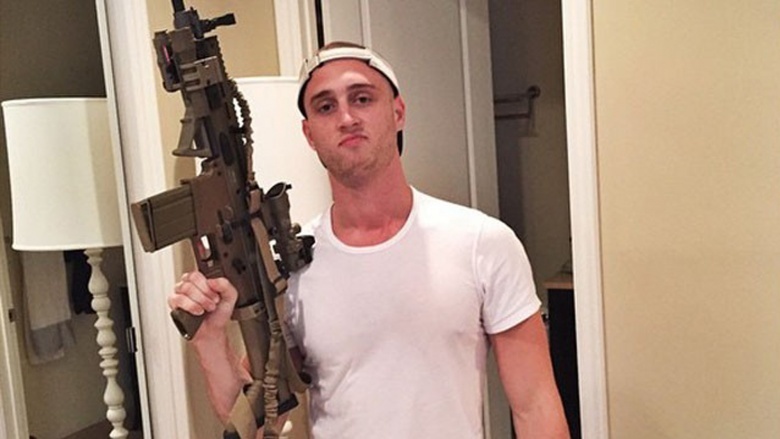 In June 2015, Hanks' son, Chester, a wannabe rapper who goes by the moniker "Chet Haze," came under fire for endorsing the use of the N-word. 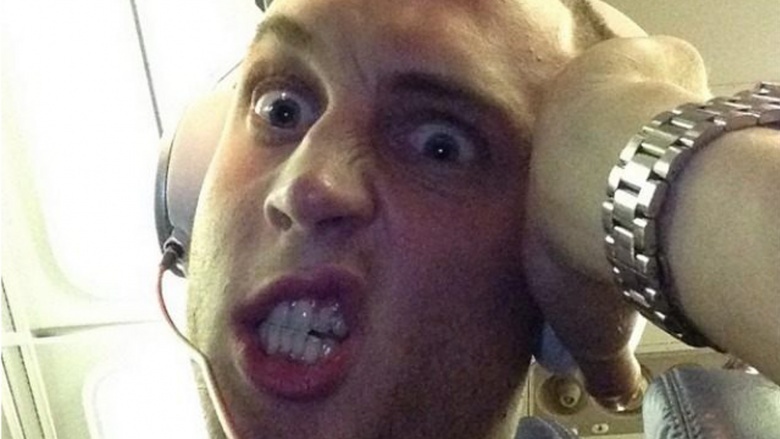 In a series of since-deleted Instagram shots, Haze spewed, "Who is to say only black people can use it? It's a word that can be used out of camaraderie and love, not just exclusively for black people…What's the point in putting all these built up 'rules' about it? It's time to let go. You can hate me or love me for it, but can't nobody tell me what I can or can't say." In October 2015, Haze backpedaled and apologized for using the slur in another Instagram video. "I know a lot of y'all kinda understood the point I was trying to make, but the truth is it's not my place to speak on that," he said, "and I'm genuinely sorry for the people I offended." TMZ reported that Tom Hanks and Rita Wilson were both sued in March 2016 for a fender bender involving their son Haze. According to the gossip rag, Haze had allegedly rear-ended another driver in one of the couple's vehicles in February 2015. The other driver, identified as Terry Moogan, sued Hanks and Wilson for reportedly giving Haze the keys to their Chevy and alleged that their son had been "under the influence of drugs and or alcohol at the time" of the accident, though police were never called to the scene. Moogan claimed that, as a result of Hanks and Wilson's negligence, he'd gotten injured in the crash. His lawyers alleged that he'd suffered whiplash and a brain injury as he'd reportedly hit his head on the dashboard of his car. Unfortunately for Hanks and Wilson, the car crash and the subsequent lawsuit wouldn't be the only headache they'd endure at the hands of their son. Haze made headlines again in June 2015 when he reportedly caused $2,000 worth of damage to a U.K. hotel room in an apparent drunken rage after a party. A source told The Mirror, "[Haze] was pretty obnoxious once he started drinking at the club…He then went back to the hotel with a British actor friend and three female promoters. He was sick in the car park and then went up to the room and got really loud." The source said, "He asked the girls if they would join him in the bed, but they are not like that. So he started screaming…He saw some sprinkled make-up called banana powder and started asking 'Who's got the coke?'" The insider continued, "Then all you could hear was this smashing and crashing. Next morning he was gone but the room was trashed. Everything was smashed and there was glass all over the floor." Police were called when hotel employees saw that a mirror and glasses were smashed and a TV was ripped out of a wall. Haze called the claims a "slanderous, bold-faced lie." 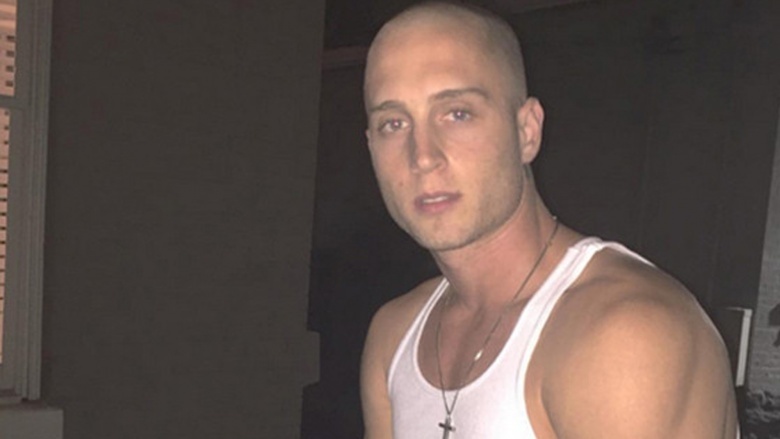 The New York Daily News reports that in yet another since-deleted Instagram spiel, Haze admitted in October 2015 to abusing and dealing drugs. "A couple of months ago, I was selling coke, doing coke until I couldn't even snort it up my nose anymore because it was so clogged. If I can change, you can change. There is a solution." In another clip he added, "I've been in rehab. I've been trying to get my s— together and I'm doing pretty damn good." That same month, Hanks addressed his son's sobriety with Entertainment Tonight. "As a parent, you love your kids unconditionally," he said. "You support them every step of the way. You got to applaud the bravery and honesty when it actually comes out of your own house." Blackface is never, ever a good idea, and with the exception of Tropic Thunder (2008), it never, ever ends well. Hanks wasn't the one wearing blackface at a 2004 event he emceed, but he was still there, and that was enough for some people to hold him responsible. The Daily Caller posted a video from the event that shows a visibly unnerved Hanks reacting to a parent in blackface at a school fundraiser. In the clip, a surprised Hanks tries to make the best of a foul situation, joking, "Ladies and gentlemen, a celebrity in our midst. Who would have thought Bill O'Reilly would join us?" 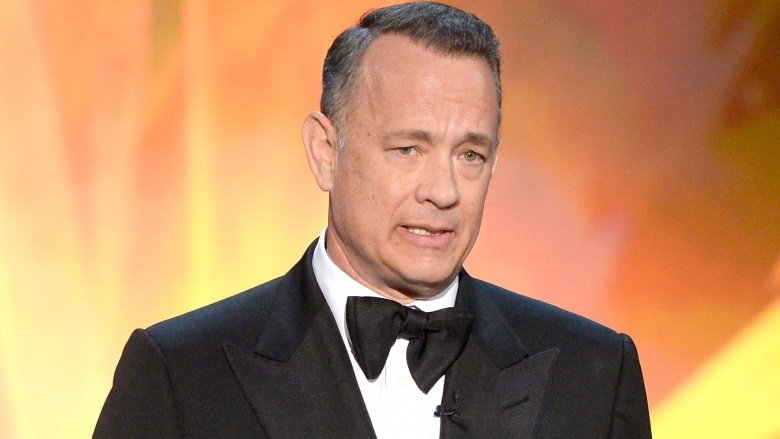 Hanks apologized for the gaffe in 2012 when the Congress of Racial Equality urged then-incumbent presidential candidate Barack Obama to sever ties with the actor. Hanks had narrated a campaign video for Obama. Hanks' statement read: "In 2004, I was blindsided when one of the parents got up on the stage in a costume that was hideously offensive then and is hideously offensive now. What is usually a night of food and drink for a good cause was, regrettably, marred by an appalling few moments." 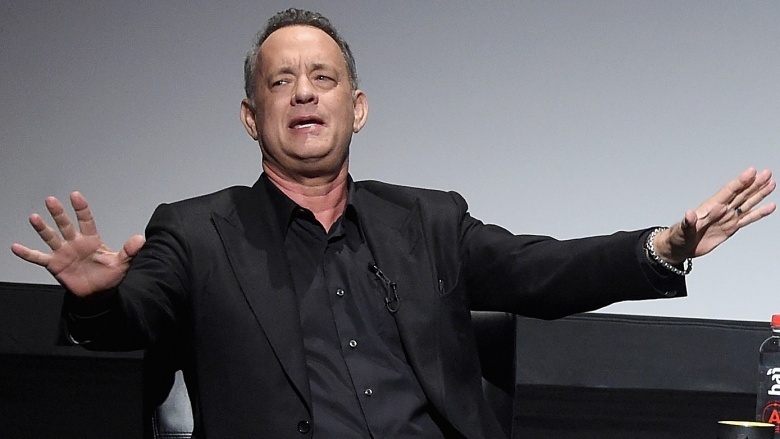 In September 2013, Hanks fulfilled his civic duty by showing up for, and actually being chosen for, jury duty, because, well, he's Tom Hanks. He's awesome like that. However, his very presence in the courtroom caused controversy. 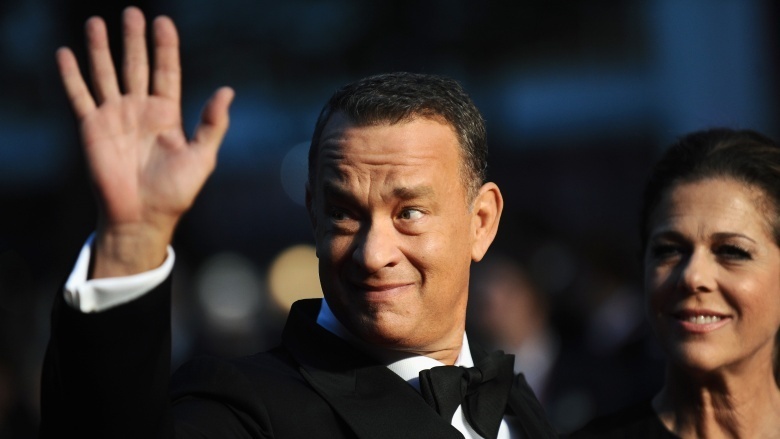 TMZ reports that Hanks was on the jury for a domestic violence case in which the defendant faced up to a year in jail. 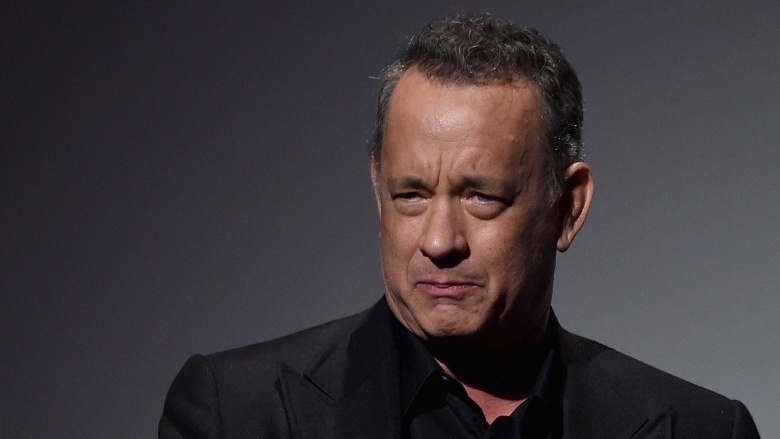 However, a bad move by the prosecution earned the alleged perp a get-out-of-jail-almost-free card: Reportedly, a member of the Los Angeles City Attorney's office thanked Hanks for his service during a break. That's a no-no in the legal system, and so the defense counsel in the case asked for a hearing to prove prosecutorial misconduct, at which point they struck a plea deal. The defendant pleaded guilty to a lesser charge of disturbing the peace and paid a $150 fine, escaping the slammer thanks to Hanks just being so darn decent.